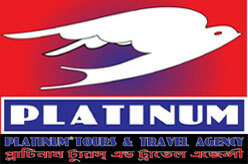 Plot # 2, Block #D, Shahjalal Uposhohor (Main Road), Sylhet - 3100, Bangladesh. 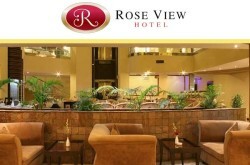 Rose View Hotel is a luxurious five star hotel in Sylhet city in Bangladesh. Equipped with 140 rooms and suites, swimming pool, restaurants, business center, wedding venue, meeting and event facilities (1000 people), complementary breakfast, Electronic Safe, Broadband Internet Access, In room tea/coffee making facility and 24 Hours room service etc. 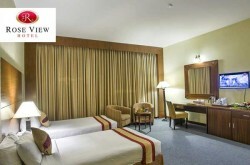 The Crystal ballroom, Surma & Kushiara hall located on the 4th floor can cater for 1000 people. The Board room has facilities with audio visual equipment and can seat up to 200 people. 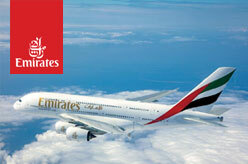 For details call directly. * “Crystal Ball Room-1” Area 4000 sq. ft.
* “Crystal Ball Room-2” Area 1800 sq. ft.
* “Kushiara Hall” Area 1500 sq. ft.
* “Surma Hall” Area 1100 sq. ft.
** Children under 5 years sharing with parents will not be charged. 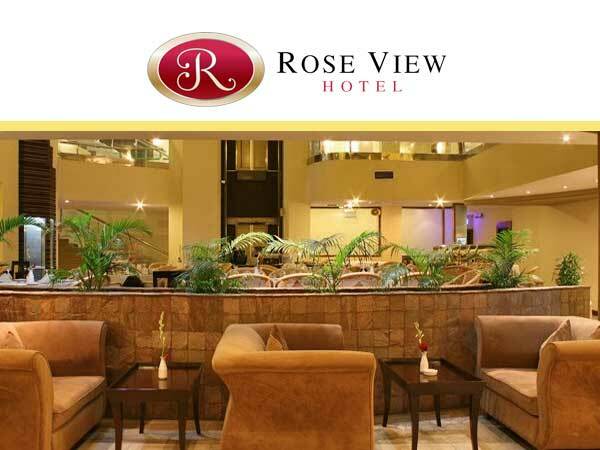 List of Accommodations – Hotels / Motels / Serviced Apartments / Guest Houses etc.